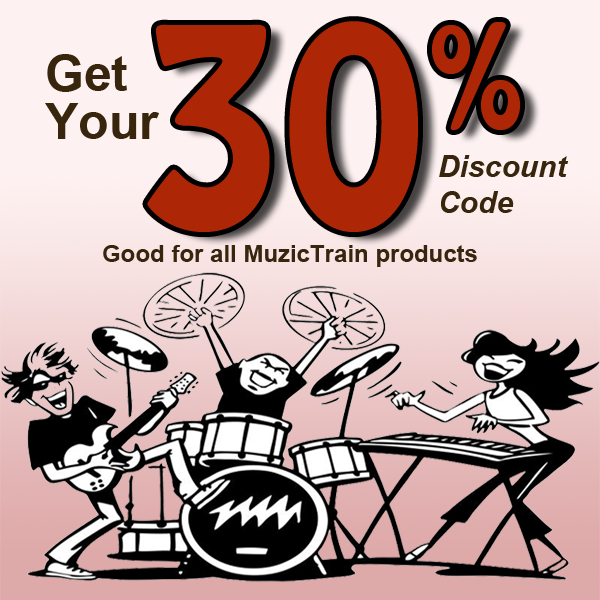 For a limited time you can score a huge 30% discount off all our products. That includes Course for Beginners, Specialty Courses (like “Learn the Guitar Fretboard”), and access to our ever-expanding Private Collection of practice tracks. Just go here to claim the special Discount Code you can enter when ordering. The code is good for the length of the special offer, and can be used to order up to 2 different products.